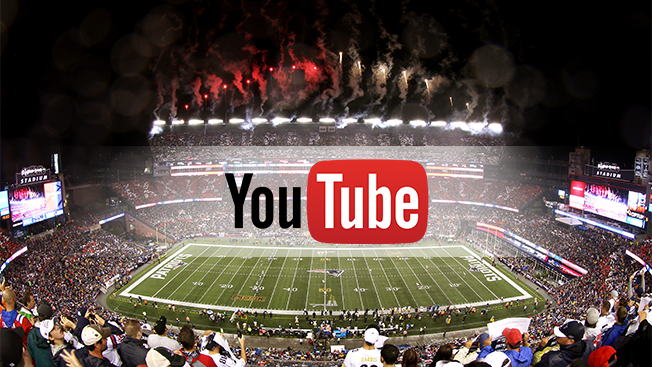 YouTube TV – They spent millions on a Super Bowl sponsorship. Here’s why! YouTube TV is a live TV streaming service like Sling TV, DirecTV Now, or Hulu. It’s currently available in 83 of the top 217 US Markets. You can check here to see if your local market is served. If they are YouTube TV has already secured local broadcasting rights from: NBC, ABC, CBS, and FOX. Currently, the cost is $35 per month. In addition to the local channels, you’ve got all these channels – i.e. ESPN, CSN, FOX Sports, USA, Disney, AMC, E!, Bravo, SyFy, FXX, National Geographic, MSNBC, Fox News, CNBC, and more. Currently, in Ohio only the Columbus, Cincinnati, Cleveland and Toledo markets are available. However, with a local antenna and hulu you can secure pretty much the same programming. Call SkyNet Piqua for more details. (937)773-0998. Unlimited DVR – YouTube TV also comes with Cloud DVR which allows you to record your favorite shows as they air and save them, so that you can watch them later. YouTube TV promises unlimited storage for shows up to nine months. An advantage over the competition, which usually only offer 28 days of storage. YouTube says that its service will allow up to six people in the family to access the service and will allow up to three of them to tune into the service simultaneously on the same account. Cord Cutters and Cord Nevers? By the end of this year it is estimated that a total of 22.2 million US adults will have cut the cable cord (Cord Cutters) to traditional content providers. (ie. Time Warner, Charter, Comcast, DirecTV) Cord Cutting is when households elect to give up cable television and instead access the channels they would like online through an internet service such as Netflix, Amazon Prime, Hulu, Sling or YouTube TV. This is up 33% from 16.7 million in 2016. Many of them supplement their local channels with an over-the-air local channel antenna. Check out our options here. 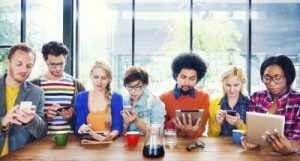 Believe it or not there is a growing population of millennials that have never had cable television. This group called Cord Never’s and by the end of this year that group will rise 5.8% to an astonishing 34.4 million. After being in business for 20 years our number one request from customers is to pick and pay for the channels they want. Cord-cutting is the first good news that a la carte option is available. YouTube has announced that, in less than a year’s time, YouTube TV has already reached the 300,000-subscriber mark. This puts it just behind Hulu with Live TV, which has an estimated 450,000 users, but in growing contention with AT&T’s DirecTV Now and Dish’s Sling TV, which have around 1 and 2 million subscribers respectively. YouTube TV is compatible with iOS and Android phones and tablets, meaning you can stream app video content to your television too. That makes both the Chromecast and Apple TV compatible by extension, and Google confirmed in September that it’s working on both an Android TV and Roku app for YouTube TV. So, why did they bet so big this year when 110 million people were watching? Because that’s the future of television and they know it.